A leader of Bangladesh Chhatra League, ruling Awami League-backed student organisation was injured seriously in an attack allegedly by his rivals on Shahjalal University of Science and Technology (SUST)campus on Saturday. The injured Rajib Sarker, assistant general secretary of Bangla department unit of the BCL, was rushed to Sylhet Osmani Medical College Hospital, the campus sources said. The university students said that a group of some eight BCL activists, who are supporters of the university unit BCL's cultural affairs secretary Shakhawat Hossain, launched a attack on Rajib, a supporter of the organisation's another leader Mushfiqur Rahman, in front of the main entrance to the campus around 3:30pm. The attackers beat him with steel pipes and hit his head with brickbats, leaving him injured, the students said. Mushfiqur alleged that the rival group activists came riding three motorcycles and launched the attack. 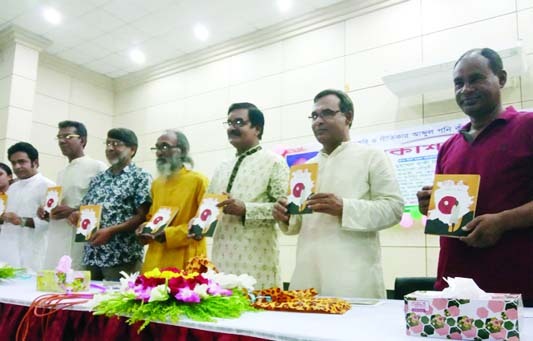 'They attacked Rajib to kill him,' he said. The rival group leader Shakhawat, however, claimed that he was not aware of the incident. 'If the incident was true, the attackers must be punished,' he added. When contacted, SUST proctor Zahir Uddin Ahmed confirmed New Age of the incident and said that Rajib was admitted to Osmani Medical College Hospital. 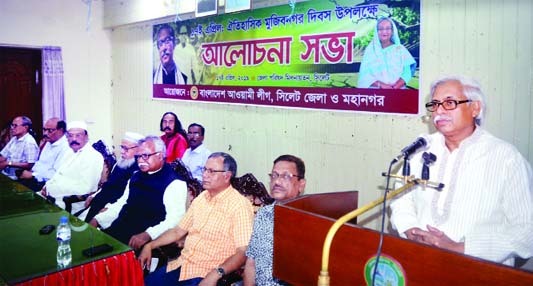 'Activists of the BCL rival group have launched the attack on Rajib over establishing supremacy,' the proctor said.